We offer a good quality topsoil which is sourced via a proactive approach (ie approaching operators that are undertaking soil excavation in areas of high quality soil) and by a large network of contacts that "offer" the soil to us when available. In 2007 we started delivering soil in ton bags. We are keen to meet customer demand and feedback from our customers has been very positive since introducing this facility. 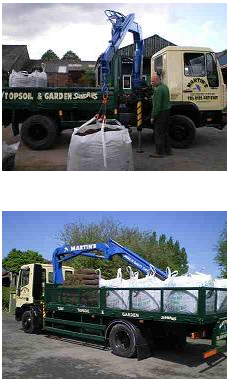 We also deliver soil to customers loose on tipping vehicles. Our company policy is kerbside deliveries. However, we will always try to accommodate customer requirements.